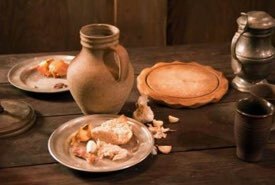 Make authentic Renaissance desserts and recreate the era itself by hosting your own memorable banquet or theme party. Whether it's hard-to-find Renaissance baking supplies or Medieval cooking ingredients and decorations, you can easily find whatever you need at reasonable prices, and we'll show you where. Most Renaissance baking supplies are rarely found in local grocery stores, but they can occasionally be found in shops that specialize in cake decorating and gourmet cookery. However, you can always find them online. 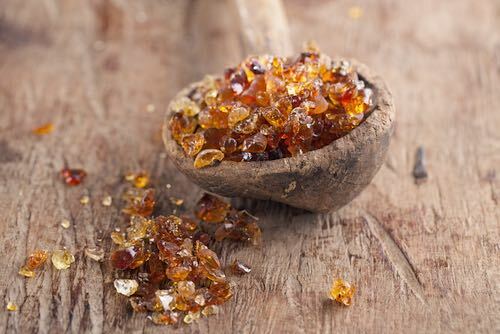 The historical ingredients called for in Renaissance baking are Gum Arabic, Gum Tragacanth (a.k.a. Gum Dragon), Gum Paste, Rose Water, and Colored Sugar Crystals. Edible silver leaf and 23KT edible Gold Leaf and Gold Flakes are used in gilding authentic Renaissance and Medieval-style sweetmeats for special occasions. The thin metal sheets tend to be flavorless as they are meant to be decorative. They are also very fragile and somewhat fiddly to apply. Gold and silver sheets MUST be labelled "edible" for safe use on foods. You can find an assortment of cookie cutters and candy molds in classic Renaissance-style shapes at local department stores or cake decorating shops, but your best selection will be found online. 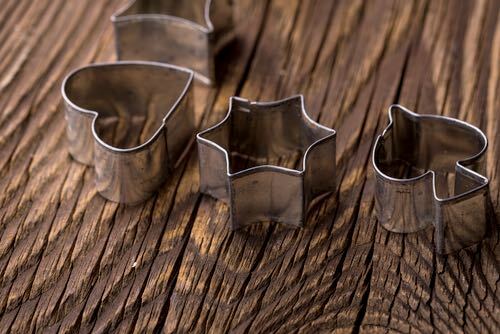 Cookie cutters are perfect for preparing marchpane (marzipan), sugar paste, leach, gingerbread, marmalet (marmalade), and other sweetmeats for presentation. Just be sure they are sturdily made for pressing through fruit pastes, fondants, and dough. Popular shapes for sweetmeats in the Medieval and Renaissance Eras were the heart, diamond, club, spade, crescent moon, holy cross, walnut, acorn, egg, and various fruit shapes. The cut or molded sweetmeats were often colored with natural food dyes or decorated with colored sugars. They were sometimes gilded with edible 23KT gold or edible silver leaf for serving on royal occasions. 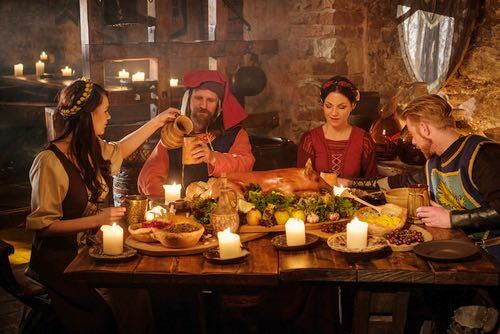 Few of us can boast of having a Renaissance banquet hall, but party decorations, props, and historical costumes can help to lend ambience to your home dining room for the occasion. For example, a colorful pennant banner and a large Medieval-like tablecloth will display your Renaissance desserts and sweetmeats perfectly.